Counted among the most vivacious and ethnic states in India, Gujarat perfectly blends the modernity with ancient culture and heritage. The state is widely renowned for its barren deserts and sun-kissed beaches. 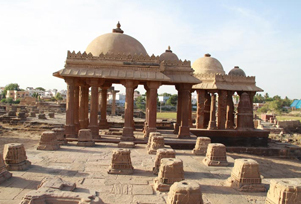 This 04 Nights and 05 Days itinerary take the tourists on a congenial and unforgettable desert beach tour of Gujarat. 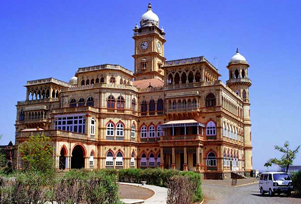 The destinations covered in the tour are Ahmadabad, Wankaner, Mandvi, Bhuj and Rann of Kutch. The major highlights of the trip are relaxing on the beautiful beaches of Mandvi, visiting the royal palace of the former king of Wankaner- Ranjit Vilas Palace, offering the prayers in the exquisite mazaar of Mazar-e-Noorani, carrying out desert safari in the biggest salt marsh of the world- Rann of Kutch and a visit to Swaminarayan Temple. 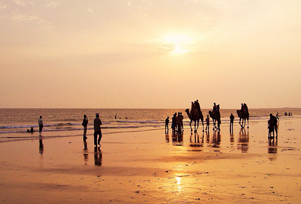 The tour is ideal for getting soaked in the surreal beauty and tranquility of deserts and beaches of Gujarat.